has been an obsessive container gardening enthusiast since moving to Maine in 2001. She has been a writer, photographer and producer of multi-media for over twenty years. She recently photographed the book Growing the Northeast Garden (Timber Press, 2015). Other credits include, the award winning documentary, River of Steel, Country Living Magazine, 2013 James Beard Award-Winning, ChopChop: The Cooking Magazine for Families, and The Twentieth Century with Mike Wallace. She is a contributing writer and photographer for Coastal Home magazine. Her photos have been seen in many books and magazines. Kerry's latest project is an exhibition at the University of New England that features her black and white images. 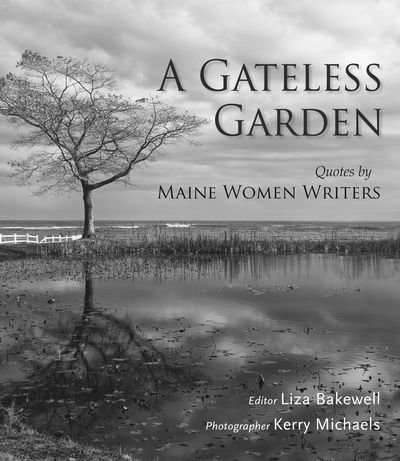 She is also the photographer of the book A Gateless Garden: Quotes by Maine Women Writers. Kerry Michaels wrote about container gardening for The Spruce from 2008 to 2016. After a move from Manhattan to rural Maine in 2001, she discovered she wasn't that great at landscape gardening, but could grow almost anything in a container. She has both written about and photographed gardens for professional publications, including Growing the Northeast Garden, and A Gateless Garden: Quotes by Maine Women Writers, both in 2015. She was Garden Editor for the James Beard Award-winning magazine ChopChop. and was head writer and producer of a CD-Rom, Country Living Style. She has written about gardening for Discovery Channel, Small Gardens, A&E, Weekly Reader, Disney and Sesame Workshop.